Surrounded by rivers and home to several notable Savannah attractions, including Skidaway Island State Park and the University of Georgia’s Marine Education Center and Aquarium, Skidaway Island is a great place to spend an afternoon. You can even grab a bite to eat and explore the shops in the island's shopping center, The Village. Skidaway Island State Park, which borders a portion of Georgia’s Intracoastal Waterway, features walking trails that take hikers through a maritime forest. 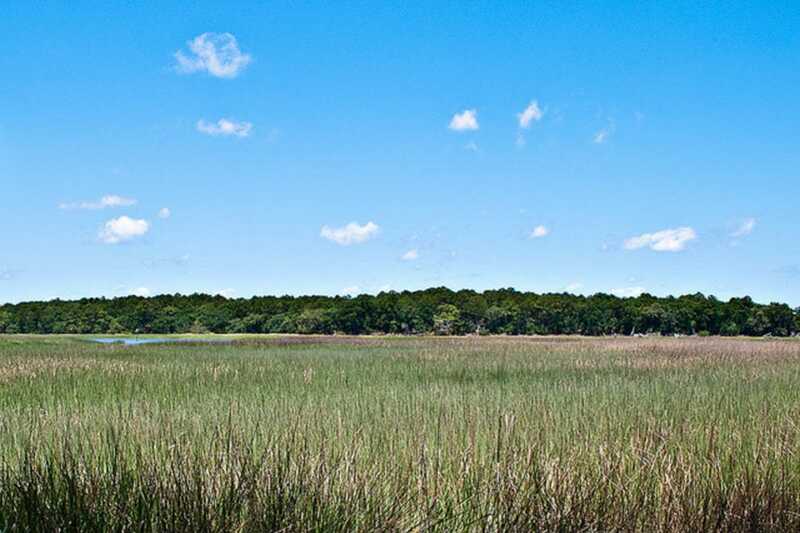 Along the way, visitors can take in beautiful vistas of the salt marsh and river and observe native wildlife, including deer, fiddler crabs and egrets. The University of Georgia’s Marine Education Center and Aquarium, located at the end of the island, is home to seahorses, turtles and several species of fish. The Village Bar and Grille, located in The Village shopping center, has a little bit of something for everyone. From salads, sandwiches and pizza to Southern classics like shrimp and grits and fried green tomatoes, you'll easily find something tasty to satisfy your craving. The casual eatery is open for lunch and dinner seven days a week and features a lively and well-stocked bar. The shops in The Village are mostly patronized by island residents, but you’re bound to find a great local find at one of the center’s shops, including C J Hallmark and the Village Walk Pharmacy, which has a large selection of whimsical toys, housewares and unique gift items. It’s also worth checking out the local produce, wine selection and gourmet products at Smith Brothers IGA, an independent grocery store that’s been in business for nearly a century.